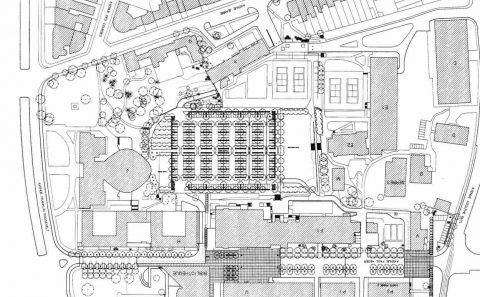 20 000 sqm. 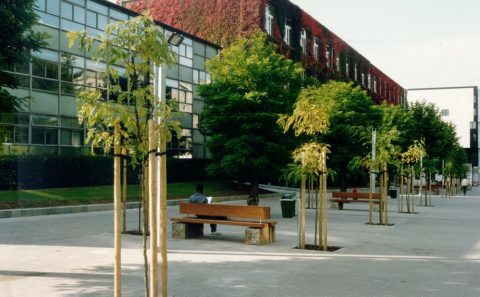 (1993-1994); (01-271). 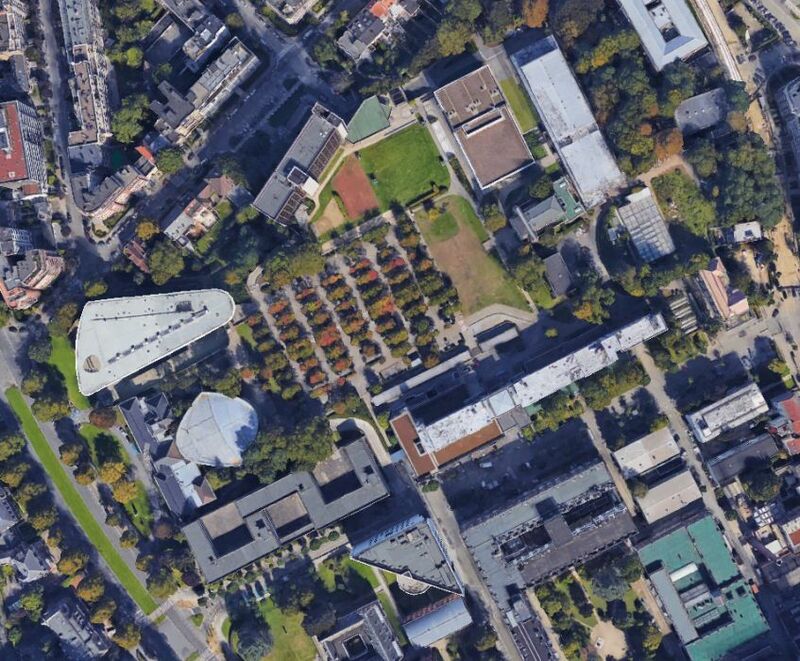 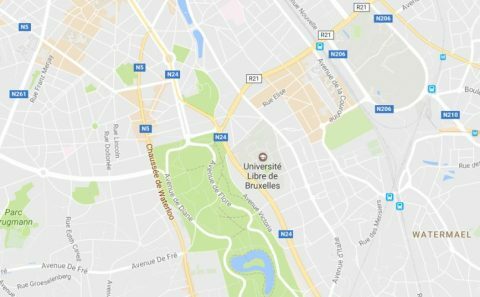 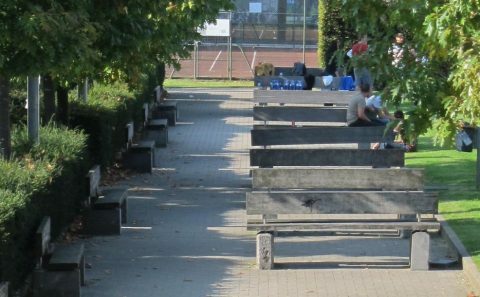 Over the past years, the gradual expansion of the ULB Campus has resulted in its absorption of former public thorough fares. 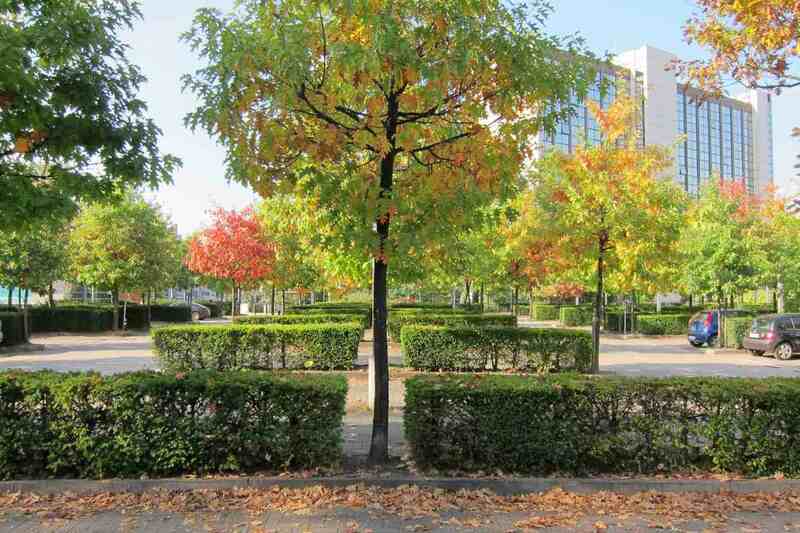 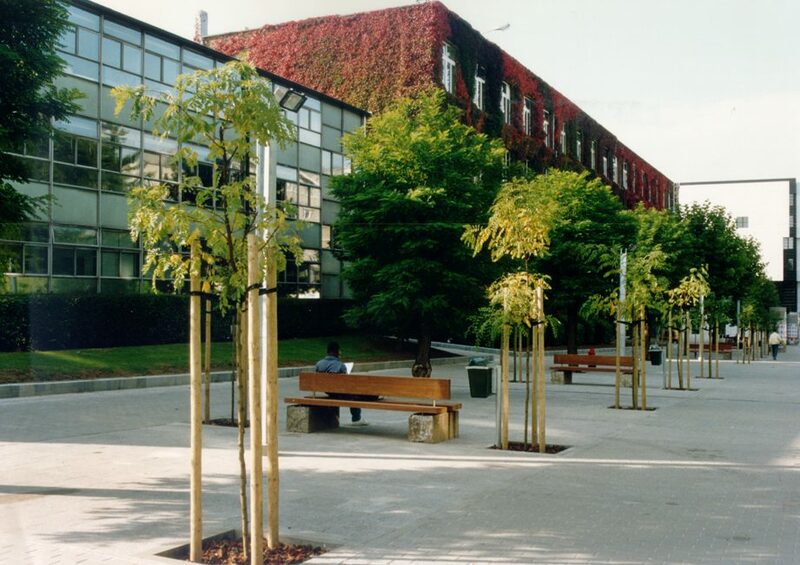 The major such thoroughfare, “Avenue Héger”, is located in the heart of the campus. 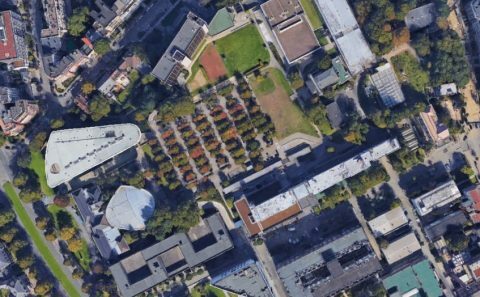 However, the volume of automobile traffic on Avenue Héger has prevented it from fulfilling its optimum social function on the campus. 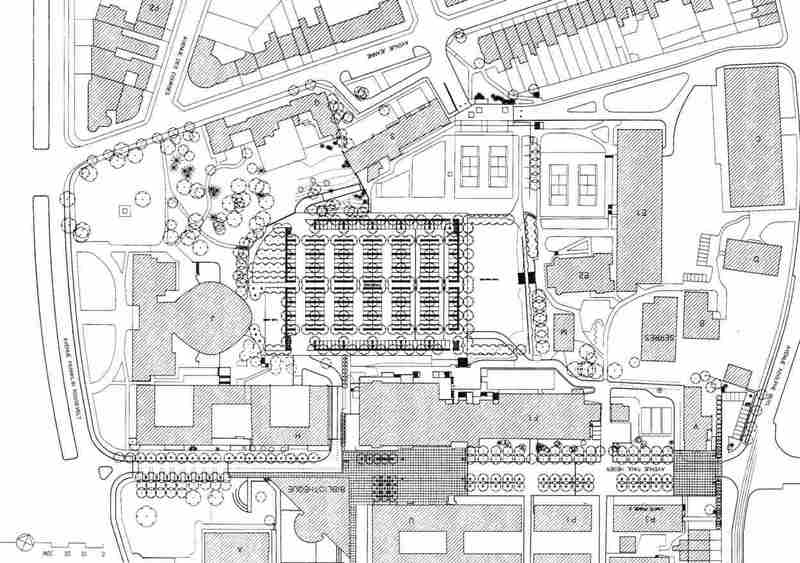 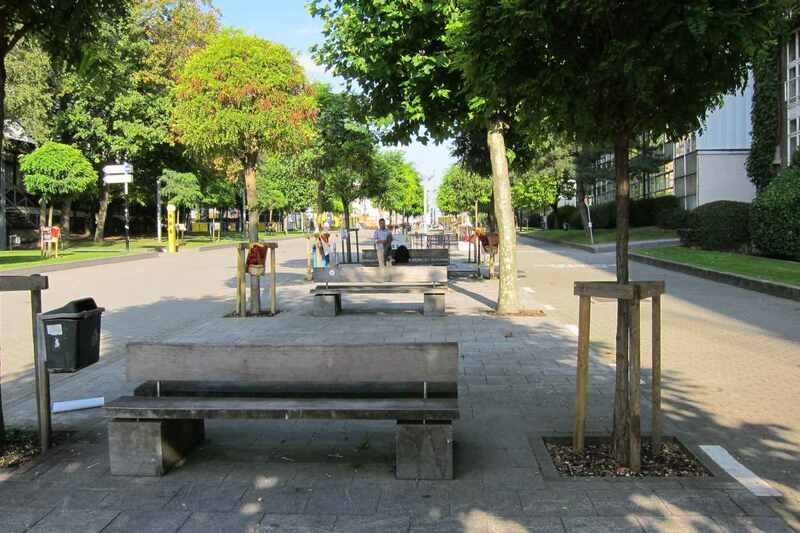 Comprehensive local traffic studies were first carried out to reorganise the flow of traffic and parking. 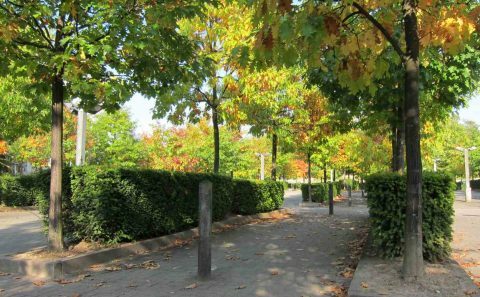 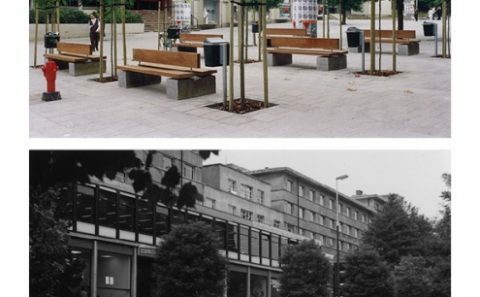 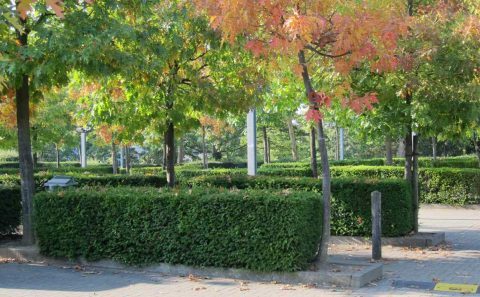 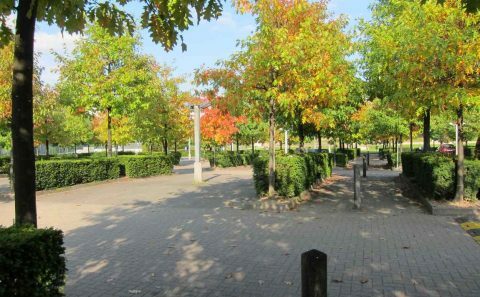 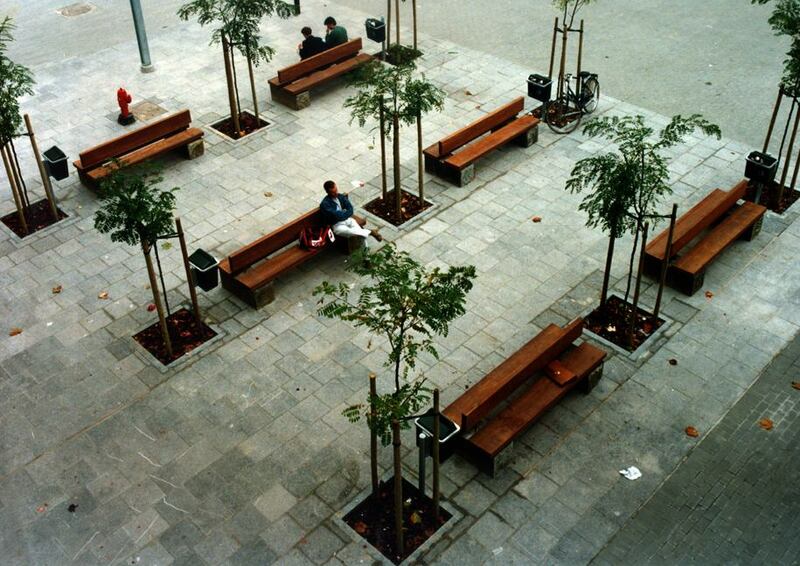 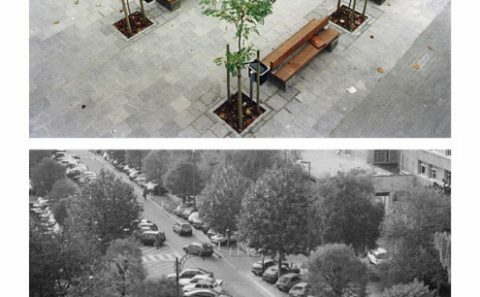 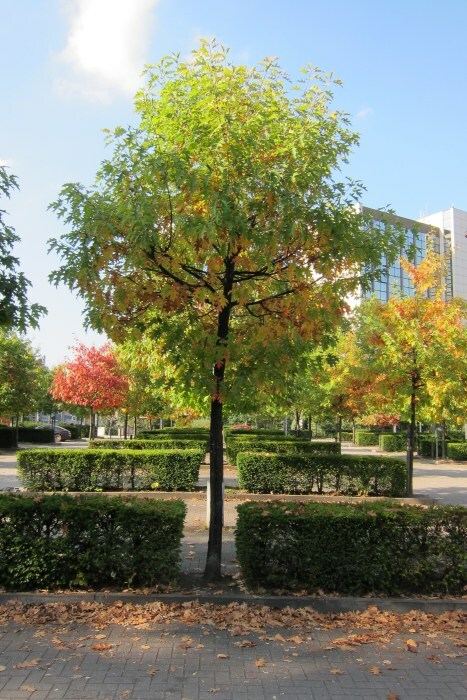 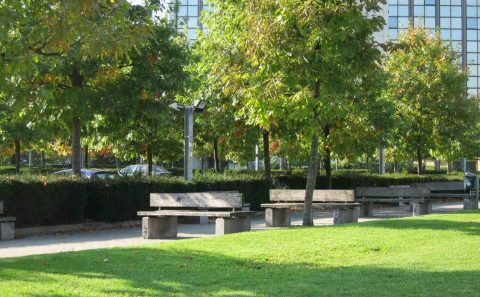 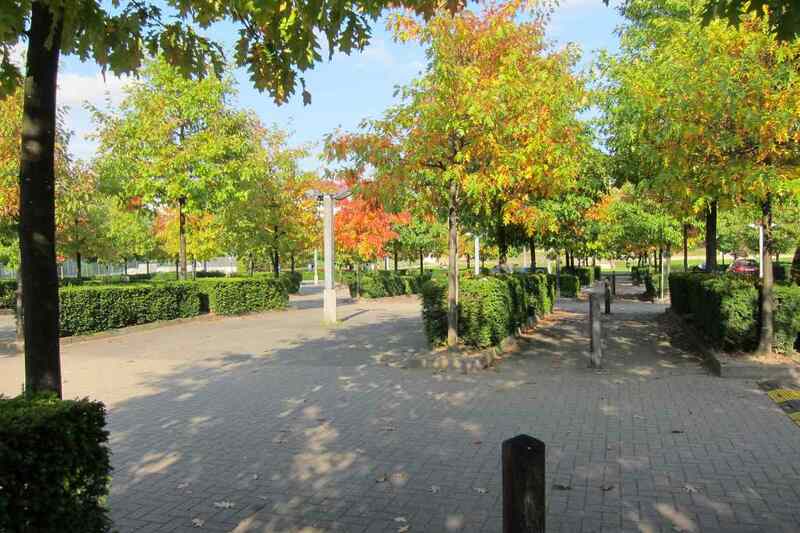 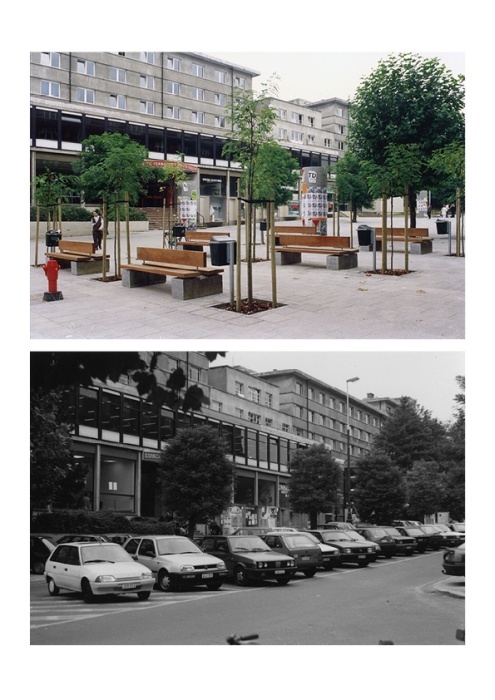 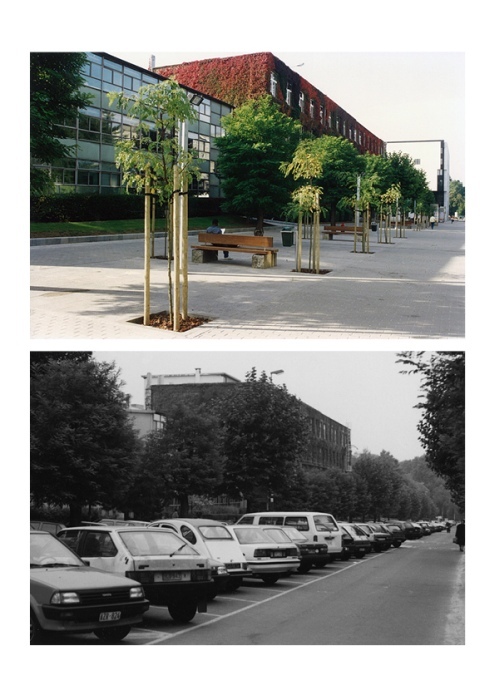 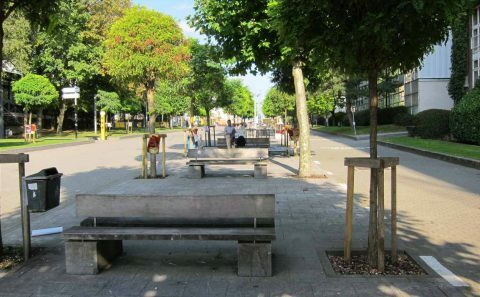 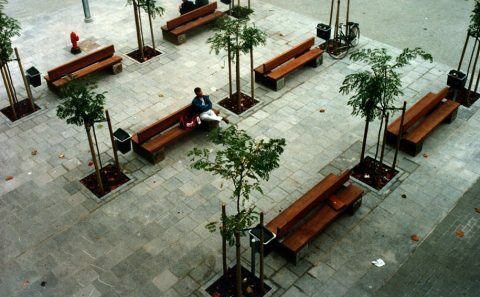 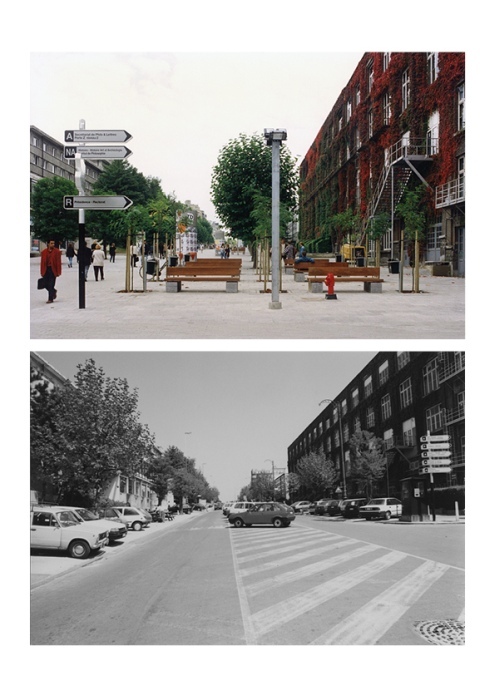 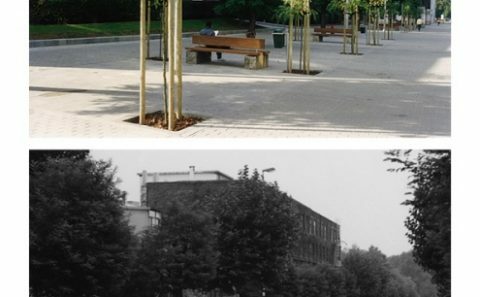 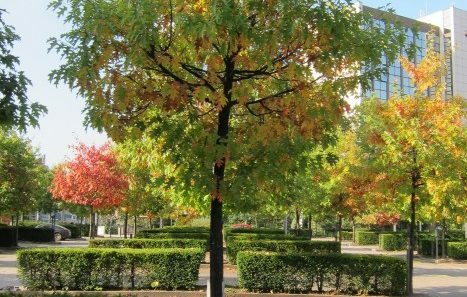 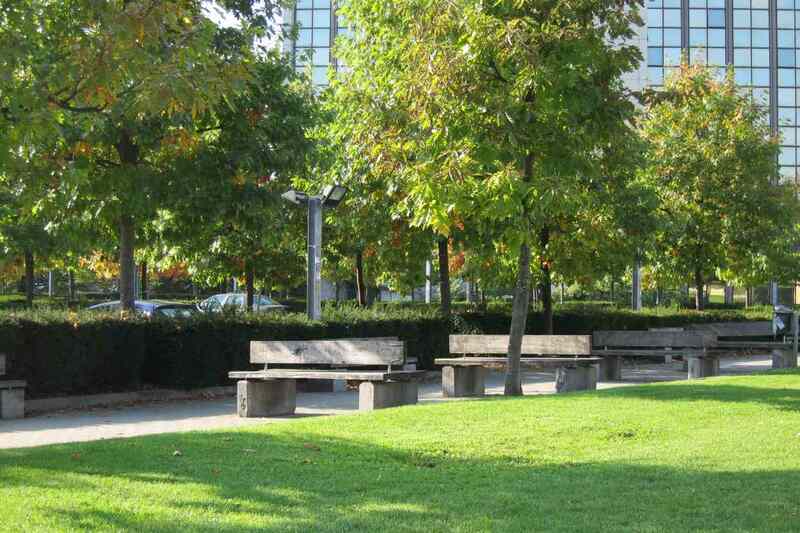 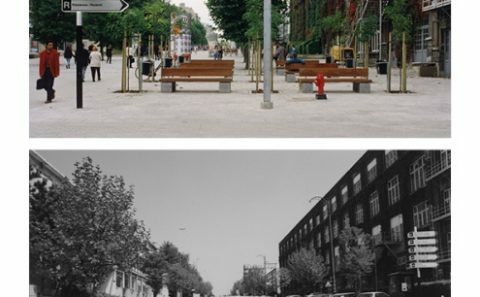 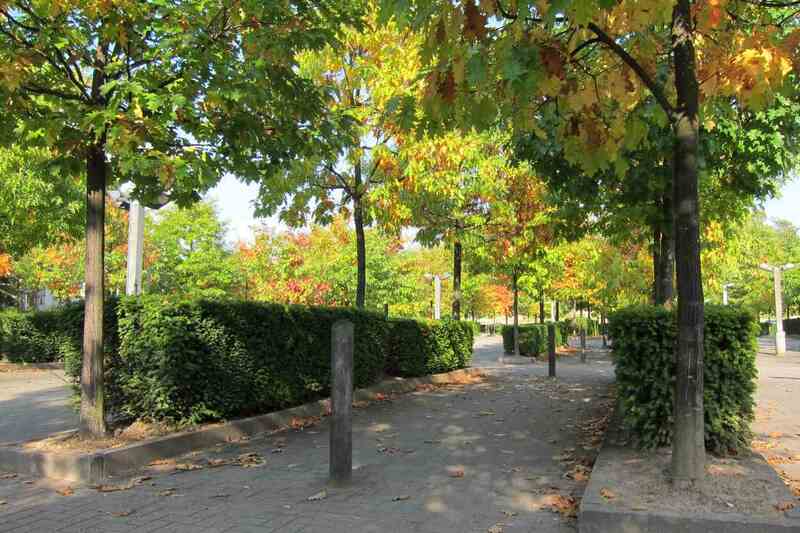 The Avenue was subsequently transformed into a large pedestrian alley equipped with rows of trees and urban furniture. 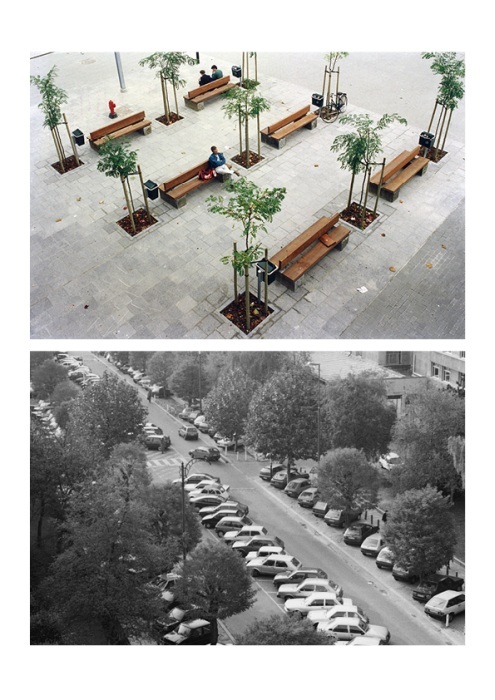 A PLUS; n° 136, 5/1995 October-November, pp. 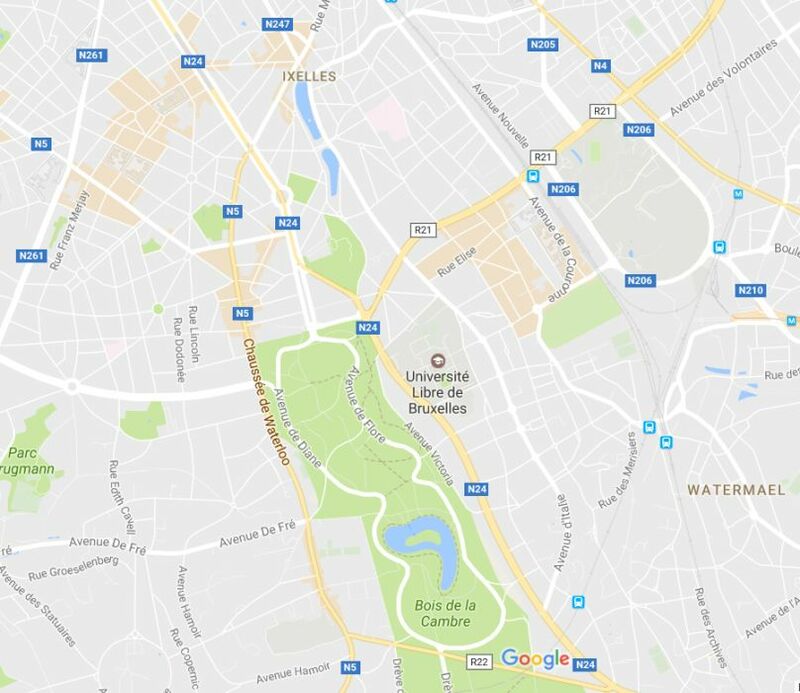 58-59; (Belgium).